The Paris police chief has been fired for failing to contain violent riots that saw a string of restaurants and shops torched along the Champs-Élysées. 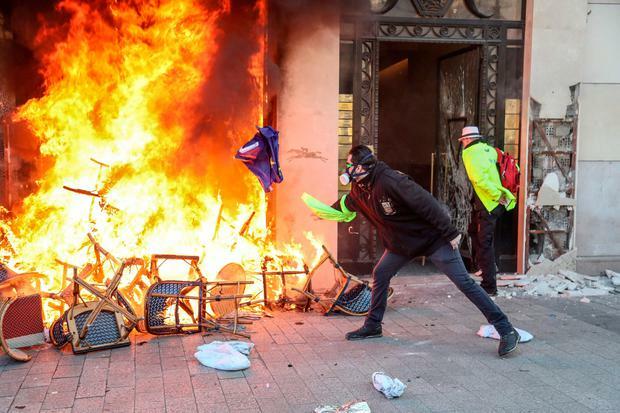 The announcement came after security officials acknowledged attempts by 5,000 police to stop several hundred rioters, nominally part of the "yellow vest" movement, rampaging for seven hours on Saturday had been an abject failure. Édouard Philippe, the French prime minister, said: "The strategy for maintaining order was not correctly executed." As a result, he said Paris police chief Michel Delpuech would be replaced.